Techniques, such as crowdsourcing, have gained momentum as companies look outside their corporate walls in search for new innovative product ideas. Social media tools are being used by product managers and designers not just to learn what customers would like, or dislike, about their existing products but they are used in the ideation, development, pre-launch and evaluation stages as well, making new product’s releases into the market a much smooth process. It has also created a new functionality consumers have taken on with “gusto” and stands to become a regular practice in the near future. We are talking about consumer’s desire for companies to jump start on providing the “next big thing” but as they see it. In other words, consumer input as the drive for ideation and design of new products and services. In the case of McDonalds, they’ve been doing this at a global level, successfully incorporating cultural and linguistic differences in their campaigns. One could say that McDonalds burgers talk, and in many different languages!! Back in 2007, McDonalds held a Global Casting contest to get images of real people to be used on all cups and bags (see the Electronic Press Kit). They received 13,000 entries and chose 24 faces to be rolled out on all packagings worldwide, starting with the United States and Canada. The same year, in Australia, McDonald’s asked local consumers to create and name a burger when « burger naming legend » Ken Thomas retired from McDonald’s Australia. They finally chose McOZ (« Aussie« ), but the burger is not being sold anymore, says Wikipedia. 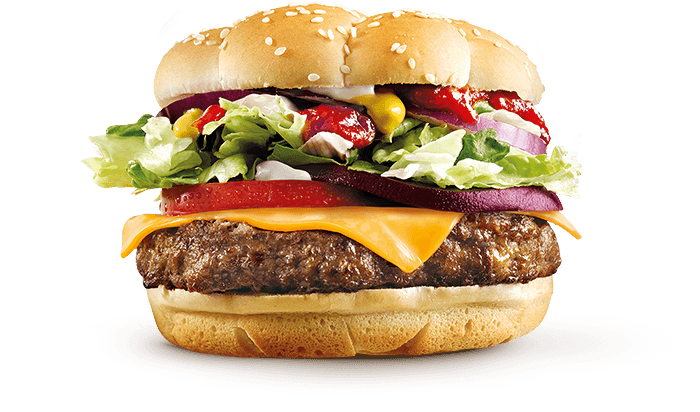 The McDonald’s McOZ Burger is partway between American and Australian style burgers, having beetroot and tomato in an otherwise typical American burger however it is no longer a part of the menu. Likewise McDonald’s in New Zealand created a Kiwiburger, similar to a Quarter Pounder, but features salad, beetroot and a fried egg. The Hungry Jack’s (Burger King) “Aussie Burger” has tomato, lettuce, onion, cheese, bacon, beetroot, egg, ketchup and a meat patty. McDonalds’ve also launched plans to allow people to build their own burgers. One of the most important things we can learn from McDonalds crowdsourcing efforts in product design is how cleverly they’ve incorporated the cultural elements of the country into their campaigns. They’ve approached crowdsourcing strategies with humor (Australia), from a health concern point of view (Germany), environmental elements (France) and rewards’ based campaigns (USA). They managed to capture the essence of what would draw out consumers to participate and give them what they need to create a new product. The really seem to have mastered the golden rule of crowdsourcing. Which are the top 5 issues to consider when rolling out a crowdsourcing campaign for product ideation or design? How important are the cultural norms in selecting the best submissions? Does each country come up with their own ideas / strategies for crowdsourcing?